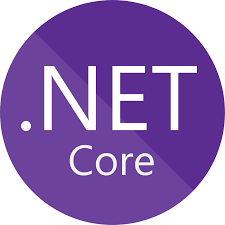 You created a .Net Core application and wanted to use .Net Core EF in your application for the data layer. The specified framework 'Microsoft.NETCore.App', version '2.1' was not found. Add the XML that is between the “PropertyGroup” tags to your project file that is referencing the Entity Framework NuGet package. C:\Dev\YourProject.Data>dotnet ef migrations add InitialCreate Your startup project 'SimpleSmtpInterceptor.Data' doesn't reference Microsoft.EntityFrameworkCore.Design. This package is required for the Entity Framework Core Tools to work. Ensure your startup project is correct, install the package, and try again. Your startup project 'SimpleSmtpInterceptor.Data' doesn't reference Microsoft.EntityFrameworkCore.Design. correct, install the package, and try again. That being said the next step according to the error is to add the missing NuGet package “Microsoft.EntityFrameworkCore.Design” to your project. At this point when you run the “dotnet ef migrations add InitialCreate” command again you could run into more issues, but it is all first time setup of your context class. I could keep listing possibilities, but this would be a never ending article at that point, most of which is covered by google. It’s obvious .Net Core is still under developed to be having problems like this. Microsoft needs to hurry the hell up and get things up to par to .Net Framework; I feel like it’s been long enough at this point. I am never one to jump on the bandwagon early just so I can say I am doing something, especially not at the cost of inconvenience spent as time debugging their mistakes.